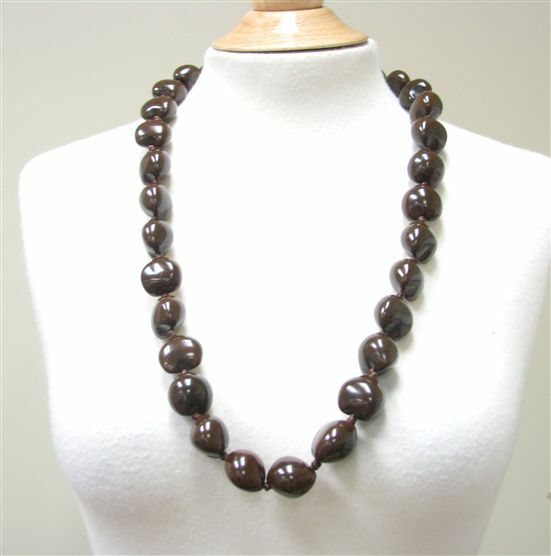 This kukui nut lei is made of glossy brown kukui nuts. Perfect for the guys!!! Look great with their white linen shirts.